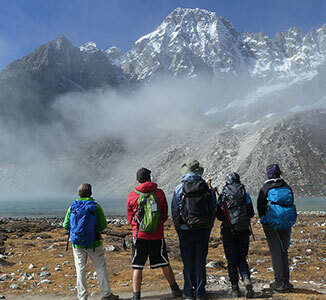 Our expert team of guides for mountaineering, trekking and mountaineering courses have a wealth of knowledge, skills and experience to give you the best adventure experience possible. 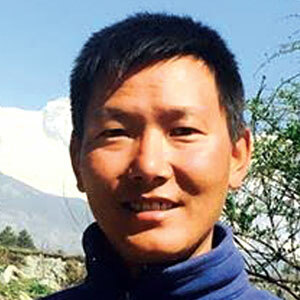 Lakpa Sherpa is the Managing Director of Expedition Base. 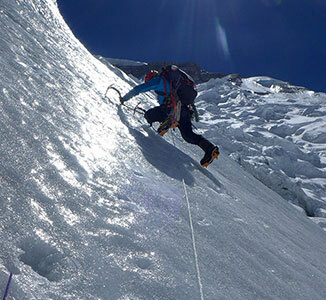 He has been a mountain guide for international clients since 1996. Lakpa comes from the Makalu region of Nepal. Lakpa’s guiding career began when he won a Sherpa Scholarship and completed the Himalayan Mountaineering Institute’s Basic and Advanced mountaineering courses back in 1995. Since this time, Lakpa has participated in numerous Himalayan expeditions, and has led expeditions to and summited many peaks including Mt Everest, K2, Kanchenjunga, Lhotse, Annapurna, Gasherbrums I and II, Makalu, Manaslu, Cho-Oyu, Ama Dablam (21 times), and the following trekking peaks: Nerikha, Pachermo, Lobuche, Island Peak, Pisan Peak and Mera Peak to name a few. Lakpa is also well known for repeating Catherine Destiville’s 18 pitch waterfall ice climb on Kwangde in 2006. 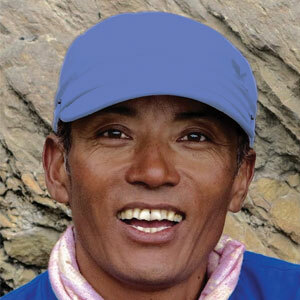 Lakpa is a founding member of the Kathmandu Sport Climbing Association and was the winner of the Nepal National Rock Climbing Competition in 2004. He was previously a lead instructor at the Alex Lowe Charitable Fund’s Khumbu Climbing Centre in Phortse, Nepal, teaching Sherpas the skills required for mountaineering. 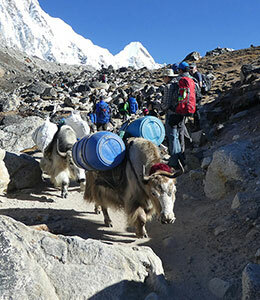 Lakpa has performed many search and rescue missions in Himalaya for many companies over the years, often being one of the ‘go to’ people for advice and participation in such missions. When he is available, he also leads treks for Expedition Base, including treks for school children and clients with special needs, where special care is a must. Lakpa was previously the managing director of another mountaineering and expedition company in Nepal from 2009 until forming Expedition Base with new partner, Lhakpa Gelu Sherpa, in 2017, with the support and input of his now wife, Chris. Lakpa also featured in international publication National Geographic magazine in November 2014. Lakpa is fluent in English, Tibetan, Sherpa, Nepali, Hindi and Urdu. Lhakpa Gelu is from the Solu-Khumbu region of Nepal. 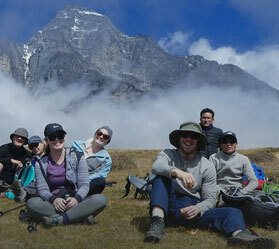 He is Expedition Base’s specialist in organising and leading treks across the Nepal, Bhutan and Indian Himalaya. 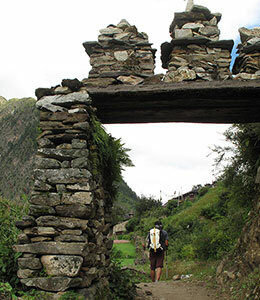 Lhakpa Gelu has 15 years experience in organising and leading trekking, tours, adventure travel and expeditions across the Himalaya in areas such as the Khumbu, Langtang, Mustang, Manaslu, Dolpo, Humla, Tibet and Ladakh. 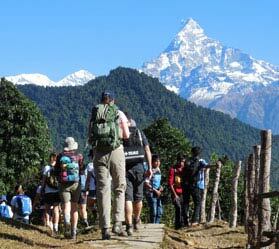 He is particularly popular with our French clients because of his fluent French, and impressive guiding record across the Himalaya for trekking. 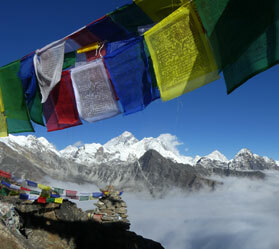 Lhakpa has also guided on 6,000m trekking peaks including Lobuche, Mera Peak, Island Peak and Chulu East. 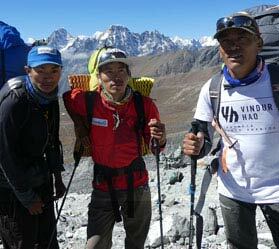 Lhakpa is also often asked to lead dignatories on trekking trips as he is so well regarded in the industry. Lhakpa is fluent in French, English, Tibetan, Sherpa, Nepali, Hindi and Urdu. Chris is one of the world’s leading high altitude mountaineers, having reached the summit of 10 of the world’s peaks over 8,000m and with more than 16 expeditions to 8,000m peaks and many more to lower peaks. She has also completed the 7 Summits (Carstensz and Kozzie list), the mission to climb the highest peaks on the world’s 7 main continents. 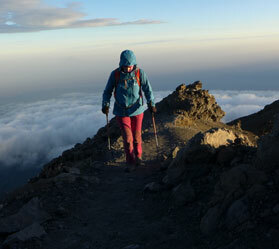 She is Expedition Base’s chief advisor on the 7 Summits missions. 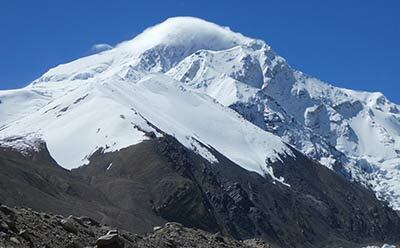 Chris has also been a strategic advisor, assistant guide and base camp manager on expeditions to a number of 6,000m – 8,000m peaks for Lakpa Sherpa’s expeditions pre- Expedition Base, and continues in that capacity. When you are on the mountains and she isn't she will be liaising with our weather advisors to make sure you get the weather information for your mountain in the way that you need it. Chris is also one of Expedition Base’s international representatives: coordinating most of Expedition Bases’ trips for clients and answering any queries our clients or prospective clients may have. So fire away with your specific questions and she will give you some of the best industry advice available. 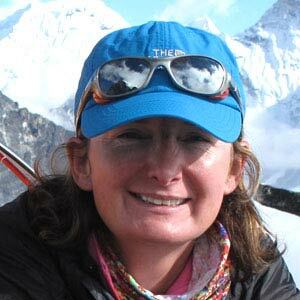 Chris also spends a lot of time in Nepal applying fundraising that she has coordinated overseas and distributing funds to worthy causes supporting women and girls. 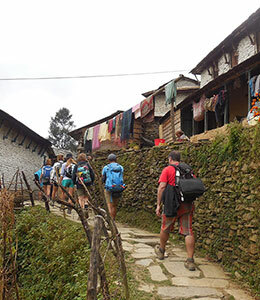 Lakpa and Chris also support trafficked minors in Nepal with skills based assistance in rock climbing and outdoor activities when they are in Kathmandu. Chhiring is from the Makalu region of Nepal, and is also Lakpa’s nephew and Jangbu’s brother. Tshering obtained the internationally-recognised UIAGM / IFMGA qualification in 2016, graduating first in class, making him eligible to work anywhere in the world as a professional mountain guide. Chhiring began his career on a multitude of lower-elevation climbs, including Ama Dablam and numerous ascents of Nepalese trekking peaks. 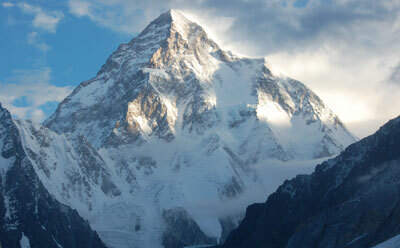 Over time, he has added many 8,000m peak expeditions to his resume including: Everest, Cho Oyu, Kanchenjunga and K2. In 2014, he became the then youngest Nepali to reach the summit of K2. He was previously a lead instructor at the Alex Lowe Charitable Fund’s Khumbu Climbing Centre in Phortse, Nepal, teaching Sherpas the skills required for mountaineering. 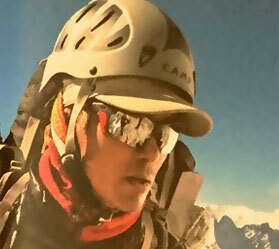 He currently teaches mountaineering skills to foreigners and Sherpas for the Nepal Mountaineering Association. Like his brother, Jangbu, Chhiring is an ‘in demand’ guide. Chhiring was in New Zealand for the period 1 November 2017 - 31 March 2018 guiding with a leading NZ mountaineering company, Aspiring Guides, before returning to Nepal for a lead guiding role on Kanchenjunga in April and May of 2018. 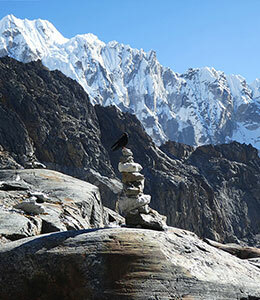 On that expedition, Chhiring broke trail for nearly 6 hours in some of the toughest conditions anyone could face. After that, he was then in Australia meeting clients in preparation for future climbs and will return to Australia in late 2018 for the same reason. Jangbu is from the Makalu region of Nepal, and is Lakpa’s nephew. As part of the 1st ever class of Nepalese aspirants undertaking the training, Jangbu obtained the internationally-recognised UIAGM / IFMGA qualification in 2011, making him eligible to work anywhere in the world as a professional mountain guide. Jangbu began his career on a multitude of lower-elevation climbs, including Ama Dablam (4 summits) and numerous ascents of Nepalese trekking peaks. Over time, he has added many 8,000m peak expeditions to his resume including: Everest (3 expeditions and 2 summits including ‘The North Face 2012’ expedition), Cho Oyu and K2. He was previously a lead instructor at the Alex Lowe Charitable Fund’s Khumbu Climbing Centre in Phortse, Nepal, teaching Sherpas the skills required for mountaineering. 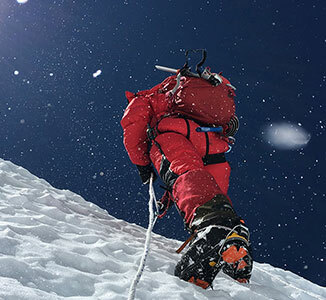 He is an ‘in demand’ guide because of his mountaineering and guiding skills, but also because of his professional approach to meeting his client’s needs. 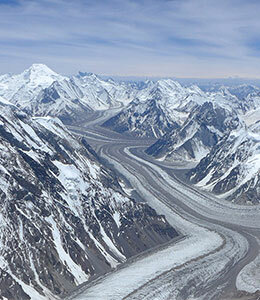 Jangbu is based in New York, in the USA and will be one of our lead guides on our expeditions to Denali in Alaska. Depending on timing, and location, there is opportunity for Jangbu to meet with clients in the USA to discuss their specific goals. Pema is from the Makalu region of Nepal. He is one of Expedition Base’s most experienced 8,000m guides with more than 15 summits of 8,000m peaks, including Mt Everest, Annapurna (multiple), Kanchenjunga (multiple), Lhotse, Dhaulagiri, Gasherbrum 1 & 2 (multiple), and with summits of many other peaks in the Himalaya. He is one of the strongest guides you will ever meet in the mountains, and one of the most considered in approaching a mountain, assessing risk and knowing the mountains he climbs well. Pema’s commitment to excellence and his experience working with the Expedition Base team have been invaluable to date to give Expedition Base’s missions the best chance of being successful. Pasang is a popular team member and guide to have on the team and one of the stronger guides that you will see on big peaks in the Himalaya. He carries the nickname 'Speed Pasang' for obvious reasons - he is pretty much faster than anyone on a mountain when you need him to be and right there with you when you need him. Dip is based in Sydney. He hails from the Kanchenjunga region of Nepal. Dip knows about all things gear related for treks and expeditions, and he is great for advising on what might be the best trip for you based on his discussions with you and his experience on all things outdoors. Dip is great at assessing a client's goals, and working with them to design the right trip for them. Dip works for one of our most favourite gear shops in Sydney, Mountain Equipment in Kent Street Sydney (or Chatswood), so if you are located in Sydney, feel free to drop in and see Dip for all your gear needs and trip advice. Pem Dorje Sherpa hails from the Makalu region of Nepal. He is currently in training to become a personal guide, having already completed 2 courses with (the USA led) Alex Lowe Foundation's Khumbu Climbing Centre. 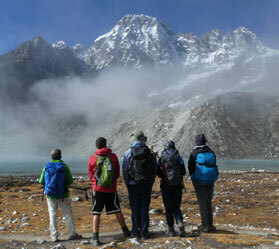 He also partners with our UIAGM/IFMGA and experienced guides to learn 'on the job'. Pem Dorje is a strong member of the team and we are looking forward to equipping Pem Dorje with all the skills he needs to become a personal guide. 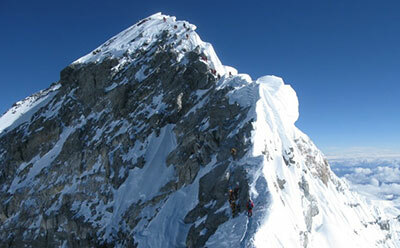 He already has climbing experience on peaks such as Cholatse, Lobuche and Mera Peak. He is also currently learning 2 additional languages so that he is able to work with more foreign clients. Pem Dorje possesses all the qualities that we expect from our guides: dedication to clients, to safety, to client care, and to enjoying the experience. He is a very powerful operator in the mountains and a lot of fun to be on a mountain with.